From Apple Valley high school students to Will Steger, Minnesotans are all over the Copenhagen climate conference. MPR reports that students from St. Benedict’s and St. John’s universities are also producing a documentary, the Will Steger Foundation and Stonyfield Farm sent a dozen young Minnesotans, and other organizations are also present. Rolf Nordstrom of the Great Plains Institute says that the Midwest is pivotal in climate discussions. Jim Harkness of the Institute for Agriculture and Trade Policy says that agriculture is crucial to the discussion. 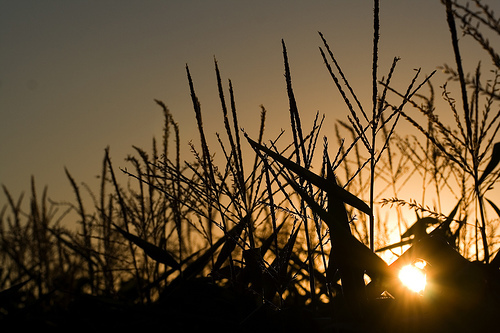 Back at home, MPR explores differing farmer opinions on ag approaches to climate change. If the U.S. House has its way, there could be a lot more farms like Fernholz’s in the future. The House passed a bill last summer aimed at reducing global warming and the Senate will take up the legislation soon. The House bill would pay farmers to manage their land to store carbon – the carbon is “sequestered” in agricultural parlance. Fernholz said the legislation signals a change in the world of farming. On the other hand, farmer Lawrence Sukalski told MPR that saving energy may not be good for farmers. He fears that the climate change bill will result in increasing energy prices, as energy companies are forced to reduce greenhouse emissions. The Uptake is there, producing video (below) as well as live coverage.